You can get 100 bonus Air Miles when you spend $50 or more on almost everything in the Rexall store between Jul 29 to Jul 31, 2016. It is close to 20% discount. I just got an email from TD. TD has reduced their e-Transfer fees to send money using Interac e‑Transfer from people's personal bank account(s). The lower transfer fees took effect July 1, 2016. Please see the picture above for the new fees. I am glad to see that as a TD All-Inclusive Account Holder, now I can send Interac e-Transfer FREE. Note: The fee to send an Interac e‑Transfer from a business account is $1.50. Rogers Bank is offering a new MasterCard, Fido MasterCard. It is no annual fee. You can earn 4% unlimited "cash back" rewards on all purchases in a foreign currency – from international websites to anywhere you travel abroad plus 1.5% unlimited cash back rewards on all purchases in Canadian dollars. You can also get up to $50 in cash back rewards as a welcome bonus: $25 on your first purchase. Plus $25 when you register your Fido bill for pre-authorized payments. BTW, there is also some changes on Rogers Platinum MasterCard. Starting August 17 you will earn 4% cash back rewards on all your purchases made in a foreign currency – whether your purchase is made online or while travelling overseas. Sounds pretty good, right? BUT, starting October 19, 2016, the Rogers Platinum MasterCard will charge a 2.5% foreign currency transaction fee. So, the actual return for Rogers Platinum MasterCard on foreign currency purchases will decrease from 1.75% to 1.5% after Oct 19. Make a purchase online using your TD Visa Debit before August 24th and you can receive $10 bonus. Note: Offer applies to Visa Debit online purchases/transactions completed between 12:01am on July 25, 2016, and 11:59 pm on August 24, 2016. Credit will be processed by September 30, 2016, provided the account has not been closed. Limit of one credit per customer. This is a targeted offer, applicable only to TD customers who are recipients of this targeted message, and cannot be transferred. Get $300: Open a new CIBC Smart Account before September 9 and complete a direct deposit or 2 pre-authorized payments within 3 months. There was one similar offer for Smart Account with up to $300 bonus, which ends on Jun 30. But CIBC decided to extend it and add extra $100 for credit card. This is not a bad offer if you just want to offer a bank account at CIBC. GreatCanadianRebates.ca is the oldest and probably the best cash back website in Canada. I've earned hundreds of cash back from GCR alone, and I always check GCR first for all my Canadian online purchases. 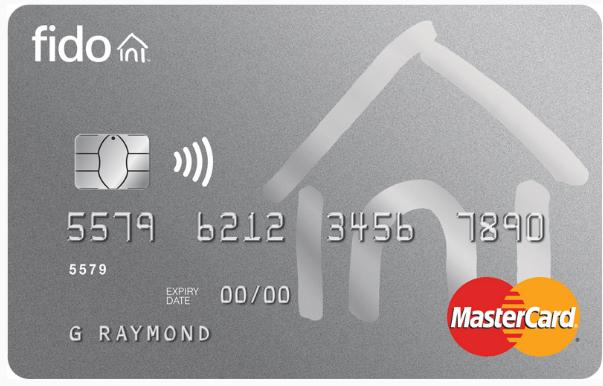 GCR has an awesome promotion on MBNA Rewards World Elite MasterCard right now. When you sign up it through GCR before Aug 31, you’ll get a extra $80 cash back once approved. So, you can get FYF + $180 welcome bonus + full 2% CASH back. I would say this is a great deal. Note: don't apply the MBNA Rewards MasterCard, which only have 1% cash back. If you want to sign up for GCR, please use our referral link as follows: https://www.greatcanadianrebates.ca/Register/126795/ (please also input referral email address: canadianrewards@gmail.com), and GCR will give you extra $2.5 bonus (we will also get some bonus. Thanks). You can get $5 just for trying BMO Mobile banking: Just log into mobile banking using your BMO Debit Card and one of BMO banking apps on three different dates between July 5 and 31, 2016, and BMO will give you $5! This bonus is not difficult to get. You can log-in your BMO online bank to check if you are targeted. Note: Limit one (1) Cash Bonus per customer. The Cash Bonus will be credited to your chequing account with the oldest account open date, or if you don’t have a chequing account, BMO will credit your savings account with the oldest account open date. The Cash Bonus will be credited to your bank account by August 31, 2016. Your bank account must be in good standing at the time the Cash Bonus is paid to qualify. This offer is only for the customer who received it and it is not transferable. You can earn 3.25% interest on up to $500,000 in new deposits to your Tangerine Savings Account(s) and Tangerine TFSA from Jul 5 to Sep 30, 2016. Aeroplan conversion bonus is back. You can get up to 55000 bonus Aeroplan miles when you convert your other loyalty points into Aeroplan. Bonus offer valid only on conversions made between Jul 11, 2016 and Aug 15, 2016. Note: While the conversion of MR points from American Express Cardmembers accounts in Aeroplan Miles is still possible, it is not eligible for this bonus miles promotion. Although eligible CIBC Aventura cardholders as of October 1, 2013, can convert their Aventura points to Aeroplan Miles, these conversions are also not eligible for this promotion.